There is simply no certified aircraft offered to the general flying community that will cruise at 200 knots, carry four people and costs less than $295,000, fully equipped for Instrument Flight Rules (IFR). There have been no basic aerodynamic changes in light aviation for almost fifty years. The Meyers 200D was last manufactured by North American Rockwell in 1967. At that time, it was well ahead of the competition in terms of aerodynamics and performance. The Meyers 200D, aerodynamically, is practically current. A minor drag reduction is all that is needed to make the airframe state-of-the-art. Installing the Continental IO-550 (Click Here to see the Type Certificate Data Sheets for the IO-550) with their new FADEC system (Full Authority Digital Engine Control) and modern avionics, and a modern interior, a new paint design and adding various creature comforts will put the aircraft at the very top of its class. The Meyers 200D is thought by many to be one of the best aircraft ever built. There are several features that are not found in competitive aircraft. The following discussion relates to features that existed in the original aircraft and which are still extremely desirable today. The Meyers 200D has a 4130 chrome-moly steel frame structure. This consists of what is known as the "bridge" section which extends from one main landing gear, across the underside of the cockpit area, to the other main landing gear. A cockpit "roll cage" is attached on top of the center bridge section. The 4130 chrome-moly steel engine mount bolts on to the front of this cockpit roll cage. The tailcone fastens on to the rear of the cockpit roll cage. The nose gear attaches onto the engine mount. 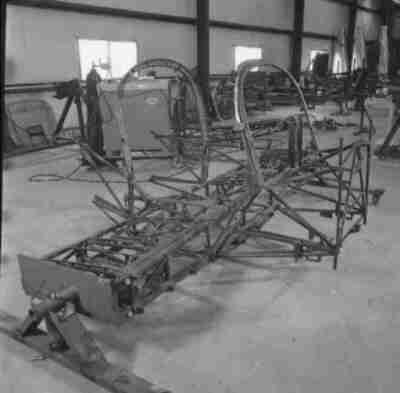 This massive steel framework makes the Meyers 200D one of the most "crashworthy" of any aircraft. Automobile sanctioning bodies would not even think of allowing racers to race without a 4130 chrome-moly roll cage inside their cars for protection; it is an absolute requirement. Yet there are no such crash-worthy test requirements for general aviation aircraft, most of which can fly faster than race cars. In the early days of flying, aircraft were designed to fly well, regardless of the cost of construction, as they were all built in small numbers, anyway. However, when the conglomerates began to become involved in aviation in the late 60's and early 70's and purchased a number of the small aircraft companies and tried to crank out aircraft by the thousands, they departed from this internal welded steel structure and went to a semi-monocoque type of structure. A semi-monocoque structure needs the skin to remain intact as the skin carries some of the structural loads. The skin is helped to stay in shape by the utilization of bulkheads at prescribed intervals. Thus the airframe acts very similar to an aluminum can. One can stand on a can as long as the sides are not crinkled. However, the minute one creases the skin, the can collapses. Hence this type of construction does not have very much inherent crash protection. In the Meyers 200D, structural loads are carried by the internal steel frame structure. In fact during structural testing for the FAA certification process, the skin is not even put on the static test vehicle. The internal steel frame guards and protects the occupants like a roll cage in a race car. There are several documented cases of a Meyers 200D coming down in rough terrain and trees with the occupants being able to walk away with very minor injuries. This is directly attributable to the 4130 internal steel construction. To display and show these unique safety virtues and "crash-worthiness", a center section, cockpit roll cage, engine mount and landing gear assembly will be constructed to be shown at air shows and other events without the aluminum skin. This will be sort of a "visible aircraft". Perhaps the most desirable feature of the Meyers 200D is its performance. This speed is documented by not only the speed records but also by the numerous races won such as pylon racing, powder puff derbies and the Peter Gluckman around-the-world flight. The Meyers 200D is widely regarded as a Bonanza beater, something no other production plane may claim. With the engineering refinements to be installed, this speed quality will be even more pronounced. Its 200 knots cruise speed is faster than a Cessna 310 twin engine aircraft. Speed sells more aircraft than any other single factor and perhaps more than all the other features combined. 1. The wing is very well constructed. It has a deliberate twist which is visible by looking along the leading edge of the wing. The angle of incidence, or the angle of the wing in relation to the angle of the centerline of the fuselage, goes from a plus three degree to a minus two degree angle. Thus, after the aircraft has fully accelerated, the outer sections of the wing at the tips quit producing lift and the induced drag associated with lift decreases. At the same time, the total lift production moves inboard to keep the yawing effects in turbulence at a minimum. The Meyers 200D is one of the most stable handling of any of the light aircraft. 2. As discussed above in the 4130 section, the structural loads are carried by the internal steel structure, not the skin. Light aircraft that must use thin aluminum for weight savings, whose skin must also carry loads, are basically limited to an adaptation of the wedge because the skin must remain fairly straight. The Cherokee series is a good example. A wedge is not very aerodynamic. A teardrop shape with compound curves is the most aerodynamic but in semi-monocoque, easily produced aircraft, the skin cannot be compound curved. In the Aluminum vs Composite Section, the advantages of composite construction were covered. Composites can be compound curved (teardrop) and retain their load carrying ability. This is why many are so fast. The skin of the Meyers 200D does not carry structural loads so it can be compound curved. It is this compound curved shape that gives a speed advantage to the Meyers 200D. Thus the basic design of the Meyers 200D leads to both "crash-worthiness" and speed. It is the best type of construction to use for these two goals, without the disadvantages of composite construction. The wings bolt onto the bridge section outboard of each main gear with four close tolerance bolts holding in shear. The aircraft can literally be rolled on its landing gear with the wings detached. This takes up much less room on the production line and makes the wings easier to construct than a large, one-piece wing. The aircraft is easily shipped by removing its wings and putting them alongside the fuselage. The Meyers 200D has the best visibility of any of the competing aircraft. It has a bubble canopy which is very similar in shape to those used on military fighters. This allows for 360 degree visibility. It is a great aircraft for "sight seeing" and the pilot can turn around and see the tail or following traffic. This great visibility is one of the most commented of the features by individuals newly introduced to the aircraft. There is ample room in the cockpit. The ceiling is tall enough to allow a person of six feet or more to wear a hat and still clear the roof. This feeling of spaciousness is even further enhanced by the visibility mentioned in the previous paragraph. Thus the Meyers 200D is very comfortable on long flights. The Meyers 200D has a relatively short wing span, measuring 30 feet as compared to 33 feet for the Bonanza and 36 for the Mooney. This shorter wing span makes it easier to get into a hangar without damage and gives the plane a relatively high wing loading. This also gives the Meyers 200D excellent turbulence stability and gives the occupants a comfortable ride. The Meyers 200D uses push-pull tubes for elevator and aileron control. This gives the yoke a very positive feel and eliminates cable expansion and contraction with changes in temperature. The Meyers 200D handles very nicely. 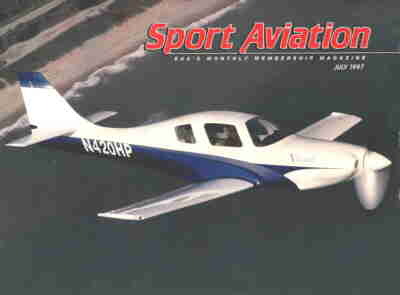 It has been described by many as being halfway between a Bonanza (too light) and a 210 (too heavy). The Meyers 200D is a very stable instrument platform. The instrument panel is extremely large and laid out very nicely. 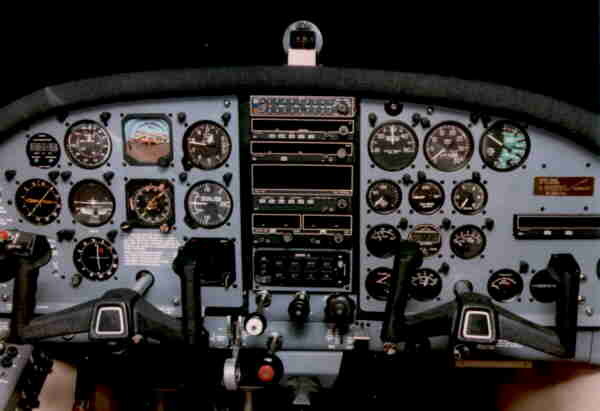 There is ample room for all the avionics wanted plus full instrumentation for flight as well as engine instrumentation. The Meyers 200D's panel is being redesigned but, in its 1967 form, it is still as modern as many of the competitors' panels today. Click Here to see the new panel design concepts. The Meyers 200D literally bolts together. The rudder, elevators, vertical stabilizer and horizontal stabilizer can all be easily removed. The ailerons, flaps and the wings can be removed easily. This makes major maintenance convenient and makes repairing a damaged surface an easy field repair. The entire belly of the Meyers 200D opens up for inspection from the underside. It is not necessary to remove the interior to do a major inspection as does the Bonanza. The Meyers 200D has proven over the years to be one of the most trouble free complex (retractable gear) aircraft in existence. Annual inspections typically average less than $500. 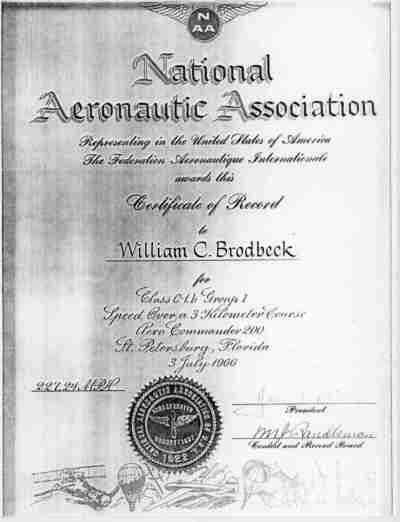 There has never been an Airworthiness Directive issued against its airframe by the FAA.